As the fall semester is coming to an end, Mustang athletes know even though the season is over, finals are coming up. Most people at Delta might think athletes have it all, but in reality they are students walking around getting their education like everyone else. 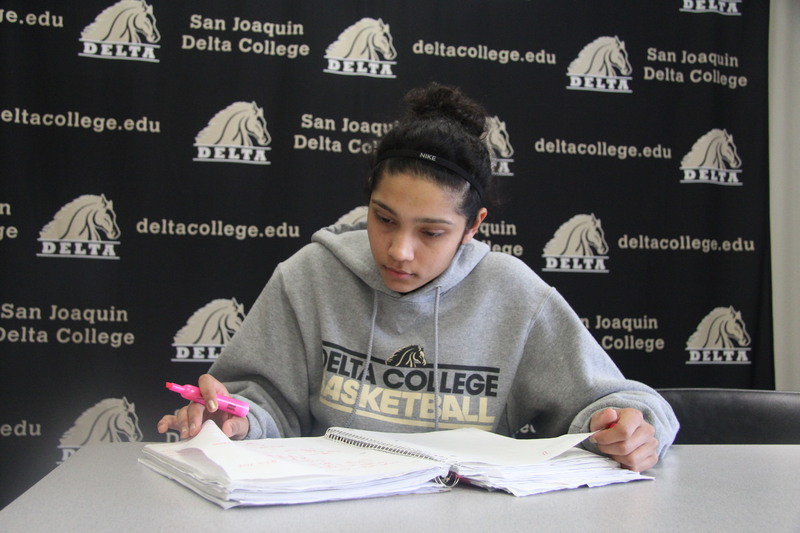 However, student-athletes are students that have more responsibilities after class is done, as academic comes first, especially at Delta College. Every year, after spring semester Delta College recognizes the athletes that have cumulative grade point average of 3.0 or higher at the Athletic Torch of Excellence Scholar-Athlete Awards ceremony. Forty-percent of athletes on campus were recognized for there 3.0 an higher GPA. Athletes that go above and beyond reaching a 4.0 average receive a special MVP award. Last year, four Mustang athletes from different sports were honored with the prestigious award. Baseball player Zack Perugi, Men’s Cross Country runner Rigo Carrasco, Softball player Alyssa Magana and Men’s Track & Field athlete Curtis Ericsson. Most athletes want to continue their education and athletic careers, which leads them to sign letters to attend to four-year colleges. The number of signing athletes is moving on is down from last year. “Not too many have signed this time of year, but last year we had about over 50 student athletes,” said Athletic Director Daryl Arroyo. With the end of the fall semester coming up. Mustang athletes are no longer studying game film, but are now hitting the books to study for finals.